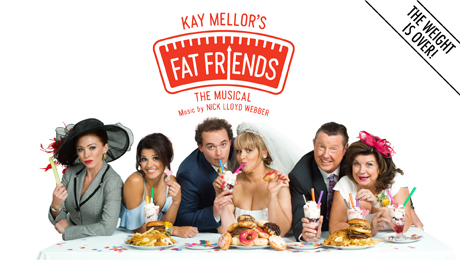 Fat Friends is from award-winning national treasure Kay Mellor (creator of Girlfriends, Love, Lies & Records, Band of Gold, The Syndicate and In The Club), the hit TV show has been adapted into a musical and burst onto the stage with original music by Nick Lloyd Webber. See Fat Friends at Glasgow’s Kings Theatre this year from 30th April until the 5th May. Join the infamous group of T.V’s most loveable characters as they are put through their Zumba paces at their local branch of Super Slimmers by the lovelorn Lauren whilst Kelly fantasises about fitting into the wedding dress of her dreams. Packed full of warmth, love and weight loss this new stage show reunites our favourite foodie friends in an eagerly anticipated musical brimming with hope, humour and heart. With an All-Star cast including West End favourite and winner of the BBC’s I’d Do Anything, Jodie Prenger, Scottish legend Elaine C Smith, star of Emmerdale and Wicked Natalie Anderson, and Coronation Street legend Kevin Kennedy.